The Sugar cosmetics boxes, with matt laminated and spot varnish. This is sturdy box with vibrant colors for lipstick packaging. 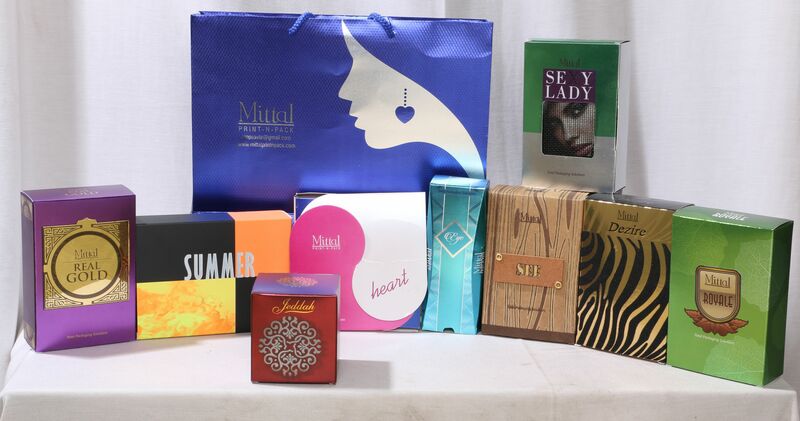 Latest in cosmetics packages at Vihaa Print, is metallic boxes with subtle colors and varnishes. Cardboard packaging made with or with window and UV printing. Kraft board boxes. Printed Cosmetics boxes on Kraft boxes. Hot stamped and special color printed boxes. These boxes are made for Biainili USA. Different sizes and colors are available for these boxes. The rough look of these boxes makes it more attractive. Please send inquiry for bulk quantities.